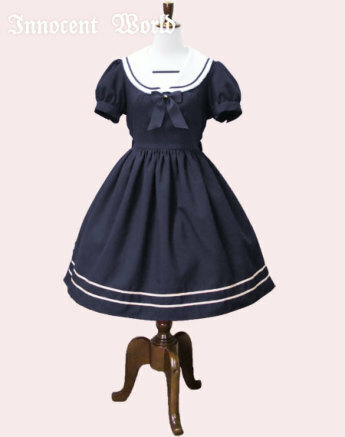 Innocent World's Sailor Collar Short Sleeve OP in Navy! Please read terms of sale before purchasing! 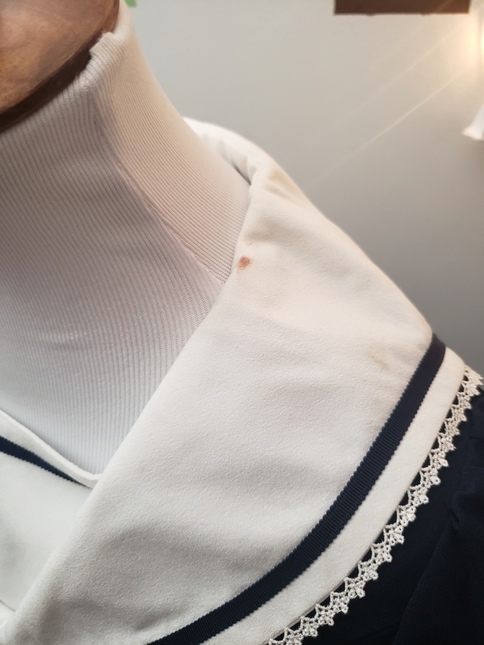 NWOT, though has a small stain on the collar (as pictured) that was there when it arrived. I received this in a lucky pack, but it's slightly different from the stock image. It's probably a sample?? The only difference is the bottom, there's one line of ribbon instead of the two. Everything else is identical though! If you would like me to measure anything out, please do not hesitate to ask! INTERNATIONAL SHIPPING: Please comment for shipping quote. I live in a smoke-free home with a cat and a dog. I have the right to refuse a sale for negative feedback or suspicious activity. Please pay the invoice within 48 hours, or the item will be re-listed. I am also open to reasonable negotiation. Holds are also available, as well as payment plans for items over $150 with a $50 non-refundable deposit. USA buyers only please, unless you are willing to pay for shipping. Just let me know! I ship via USPS Priority Mail 1-3 day domestic shipping, but if you are an international buyer I will be shipping via USPS First-Class International Package Mail Service. 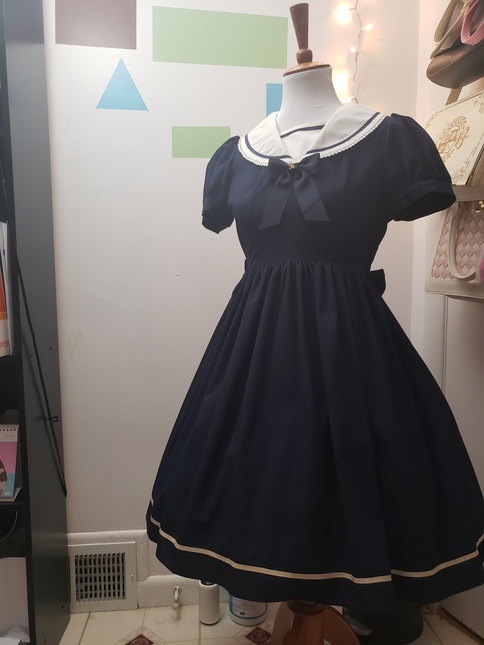 I can also ship via Priority Mail if you want to pay for faster, tracked shipping as well, just message me! 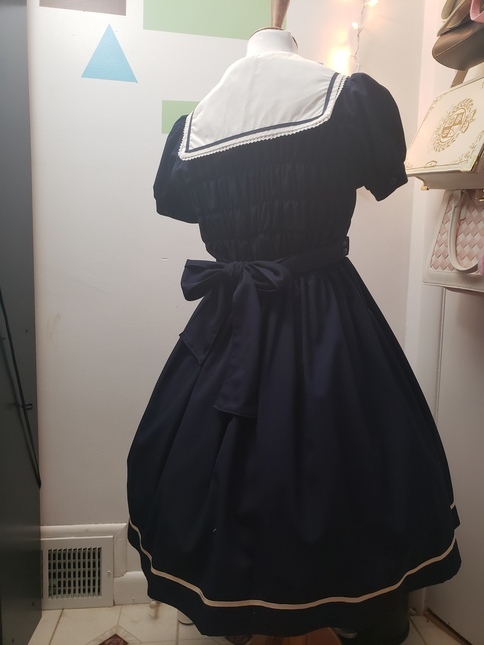 If you live in Western or Central Massachusetts or the Boston area, I would be happy to plan a pick-up date if you would rather do that than have it shipped. Just PM me!